Facebook suffered a big blow to its aim to bring free internet to millions of Indians after the country’s telecoms authority ruled against its Free Basics service. In its judgment yesterday, the Telecom Regulatory Authority of India ruled that no service provider "shall offer or charge discriminatory tariffs for data services on the basis of content". This effectively outlawed Facebook’s tie-up with mobile telco Reliance in providing Free Basics, a pared-back suite of various internet services offered by Facebook. In a Facebook post, Mark Zuckerberg said he was disappointed with the decision, but will continue to try and bring free internet to India. "I want to personally communicate that we are committed to keep working to break down barriers to connectivity in India and around the world. Internet.org has many initiatives, and we will keep working until everyone has access to the internet," he wrote. A glimmer of light for Facebook is that the TRAI has agreed to review its finding in two years. The ruling comes in spite of a huge and aggressive PR campaign from Facebook, which took out full-page adverts - sometimes front page - in several of India’s biggest newspapers championing Free Basics. The service was already suspended pending the TRAI’s final decision, and Facebook had previously suffered criticism for getting millions of people to email the regulator directly expressing support for Free Basics. That led to accusations of duping users and subverting the wider net neutrality debate, which the regulator said Free Basics was just one part of. Several people have cited Facebook’s weak consumer engagement strategy as a potential reason for Free Basics’ failure. Aman Gupta, managing partner at SPAG Asia, told PRWeek Asia that Facebook needs to totally rethink its PR strategy. "The biggest miss in Facebook’s campaign was its lack of credible, local voices able to connect the issue, its relevance and positive impact with the target audience," he said. "It should not have been an aggressive, ‘in your face’ kind of campaign. "Also, what kind of stakeholder mapping was undertaken is a question that needs to be asked. A fresh one will be required to sort allies from detractors and communications strategies for each group must be defined accordingly." Gupta added that when handling more sensitive issues, using an influencer-driven engagement approach can play a key role in defining the direction of conversation. Arnab Mukherjee, head of account planning at Adfactors, said early and wide-ranging stakeholder engagement should have been a fundamental part of Facebook’s comms campaign. "India is deceptively democratic; there is a real willingness to stand up and be counted. These stakeholder connections should have been made at a much earlier stage," he told PRWeek Asia. He added that following this failing, mounting a relentless and expensive PR campaign was actually likely counterproductive. "Everyone knows how much money is being spent on full-page adverts and outdoors day after day. When so much money is spent on pushing an apparently pro-social motive, that is not a message easily bought by consumers." Jaideep Shergill, co-founder of Pitchfork Partners, says the TRAI's ruling could have global implications for Free Basics. 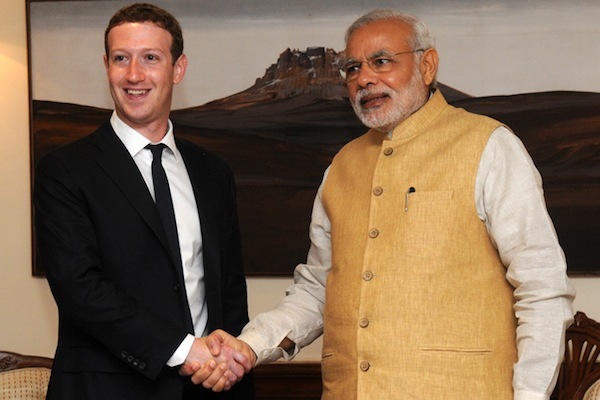 "India was seen as the major battleground for Mark Zuckerberg’s pet project," he told PRWeek Asia. "Success in India would have propelled its rollout across the world. Now, the opposition to Free Basics is likely to gather steam in several countries." The ruling, however, need not be the final nail in the coffin, added Shergill. "There are several other geographies Facebook could concentrate on for the moment, even as it engages with net neutrality activists in India and alters Free Basics to ensure against perceptions of discrimination. This is critical if it wants to prevent further damage to its reputation."